The much-anticipated performance of Carthage/Cartagena, written by Caridad Svich and developed with the Signdance Collective International under the direction of Beatriz Cabur played to an enthusiastic audience overcrowding the large dance studio. The text of Carthage/Cartagena is a series of multi-lingual letter-song-poems connected by themes of displacement, exile, and human trafficking. This verse play dramatizes moments of “desterrar,” or being ripped away from homeland and finding oneself in a foreign land. The piece stages the violent origins of diaspora, a recurrent topic raised throughout the conference. For instance, the “Jazz in Plays” panel discussed song as the only thing that diasporic populations carry with them when they have lost everything. The Katrina Effect panel discussants returned time and again to the shock of total loss in their discussion of disaster response performance. 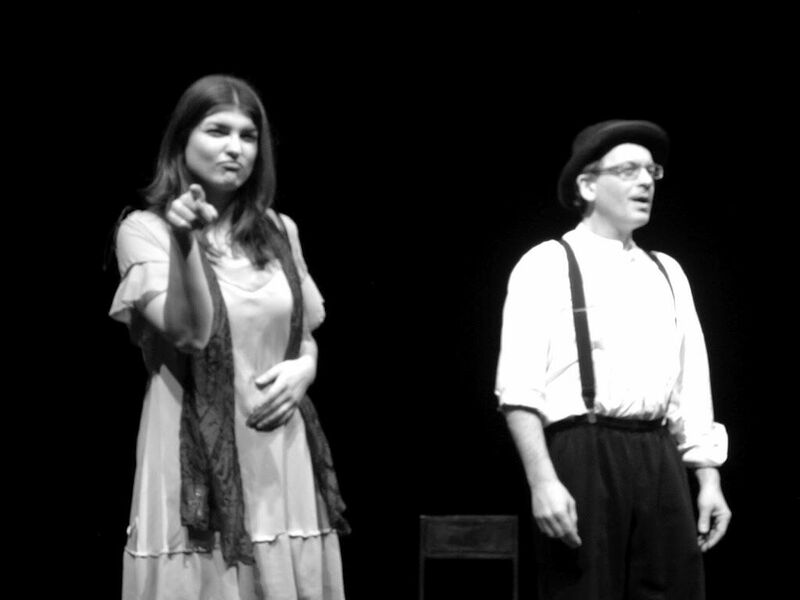 Performances by José Torres-Tama and Margaret Kemp both addressed the struggle of diasporas to survive in places, like the United States, where immigrants face hostility and violent exploitation. The verse of Carthage/Cartagena enacts its diasporic imagination in its rendering of voices of individuals displaced by wars, human trafficking, and acts of violence. As a previous reviewer had pointed out, the play on words within Carta-ajena, could mean letter from afar, as well as a letter written in a foreign language. These “letters from afar” are not only written from spaces of dislocation, but also speak from the borderlands of the real, a space beyond representation and language, encircling the edges of trauma. The performed text of Carthage/Cartagena drew on multiple languages, English, Spanish, Italian, BSL, and ASL as a strategy to approach this “unspeakable” space of trauma through the disconnected space between languages, and the gap between meanings lost in translation. The SDCI was the perfect company to interpret the piece because they move between so many registers of language: spoken, sung, and embodied in their specific fusion of dance and sign. Images of homeland, like a lemon tree, a cake, or a spinning top, were invoked as the final vestiges of subjectivity from the edges of the traumatic experience. The SDCI’s approach was to interpret the loss of homeland as the structural loss of innocence. Coming of age in the blown-out wasteland of Carthage/Cartagena means grappling with the shock of total loss, a retracing of the missing pieces of self, and transformation in a state of absolute exile. The ritual structure of the choreography, a spiraling transcendental meditation, made room for the co-presence of these lost voices—the casualties of violent acts of displacement—as they were re-imagined in performance. Carthage/Cartagena made for an intense and riveting end to this 8th annual meeting of the NoPassport Theatre Alliance. The successful one-day engagement forever altered the threshold of possibilities and opened new roads for LSU theatre and participating artists from Baton Rouge and NOLA. In collaboration with BBC Radio 4 the show premiered in Manchester /Salford at BBC Centre and then went on tour in Miami, USA. We are looking for venues , promoters , festivals , and events to showcase and perform Elvis . The show lasts one hour , and is a great , fun roller-coaster ride . 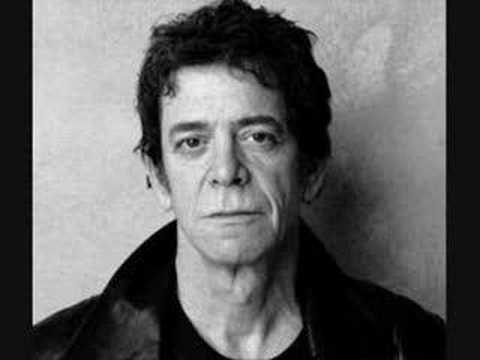 Lou Reeds music, art and his words, have always been a big part of my life. His work basically forms one of the big themes that have coloured my days. My memories both good times and bad have somehow never been all that far away from the energy and sentiment of Velvet Underground etc. Even though I know that his music lives on in all the influences that he had on other artists somehow the world will be just a little less cool without him. Thank you for your art and thank you for helping me to find myself and rest in peace good Sir. The company reunited in Austria and met with director Beatriz Cabur to work on ‘Carthage’ new play written by playwright Caridad Svich. First things First. We made the space we were to work in for the next four days ready. Sitting above the ‘Fish & Gigs’ restaurant in Ligist, is a large abandoned room, remnants of gym equipment scattered everywhere: benches, springboard, hurdles, balance beams, sets of skis too! Many ventured a swing on the still rings, hanging from its high ceiling. The room was in dire need of some TLC. We swept, scrubbed (not quite polished), and moved furniture around, relocated spiders to wilder surroundings. The layers of dust and cobwebs giving way to the true colour of the beautiful - albeit a little squeaky - wooden floors. ‘Carthage’ is a powerful play, dealing with notion of home, the loss of ones home, oppression, rebuilding, hope, language. What better way to prepare ourselves to tackle such themes then tackling, transforming and creating an environment for us to rehearse in! Rehearsals were intense. A play like ‘Carthage’ demands attention from its audience, our responsibility was to make sure this happens. We would perform the outcome of the weeks residency, ideally brimming with potential for future development, in two different venues. Everyone was aware of the short working timescale the company and fellow collaborators had to create a totally new piece of work. Working together the piece began to take shape. Across from our rehearsal room was a field in which two piles of wooded logs stocked high sat parallel to each other, the space between would be one of our said venues. When it came to rehearsing there, surrounded by the logs, the choreography truly came alive. As rain clouds gathered, we looked, reached, out to the sky above. We fell, shuffling, gravel pressing on to our palms and knees. Wet leafs sticking to elbows and hair. At the mercy of the elements we could not have wished for a more incredible backdrop for the play. This was turning into something special. The first venue was the Schlossberg overlooking a beautiful sunny Graz. The piece lends itself well to a number of locations. Spacing was adapted to make the most of the clock tower square which was not quite as rural as the log piled field. A lot less slugs were encountered! Dead Days Beyond Help collaborated with Graz based Henry H (Thomas Ulrych & Angelina Schwammerlin) crafting the live music through the piece. Exhilarated by the first outing we prepared for the next and it did not disappoint. The intensity increased and it strongly affected viewers. In their eyes even the logs took on a new meaning, new shapes of guns and cannons aiming at the characters. Macabre post-battle images of dead bodies piled high. The play truly struck something within them. Phew! Definitely not a fluffy piece, but it deals with subjects which are important to speak of. Look forward to the next stage of development. Signdance Collective's 2013 United States East Coast tour Of Half A Penny and The Other Side Of The Coin a phenominal success. We were also invited to deliver workshops and took part in the conference it self at New York University. Dead Days Beyond Help (Our in-house band) also played two gigs whilst in the city at Death By Audio . Fabulous! . We were amazed and pleased that all the shows and workshops were packed out! When booking the tour , I was filled with nerves . How could our little company , which has no real finacial support pull off a USA tour? The N.C experience ended with performing at the very cool Juggling Gypsy Cafe in Wilmington North Carolina(A Hooka Bar) again, a sold out show ! 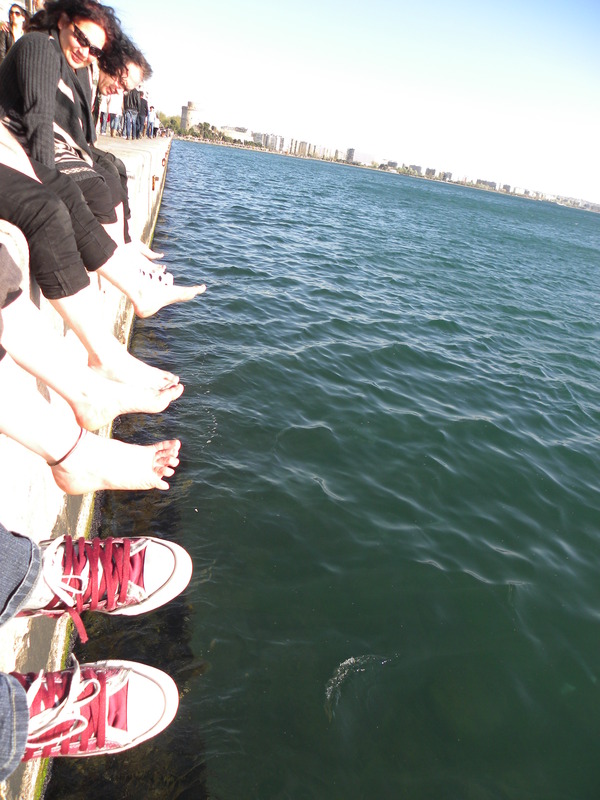 To the company's dismay , we had to finally travel to Miami Florida , where I partially grew up . And, amongst the sunshine,the Cuban food of my birth-place , the friendly warm , sensuous, and hospitable Cuban , American, Jewish, Puerto-Rican and multy -mix which is Miami, we managed to deliver (oh , so difficult after lovely swims at South Beach) a series of performances x6! and a workshop programme ! The organizer for this leg of the tour was a complete magician. We then toured to Ankara , our regular Spring Tour Stop in Turkey . Our audiences there are growing steadily and both shows were at 100% capacity . We performed Half A Penny And The Other Side Of The Coin , which we partially developed with the Ethos Festival . The audience in Turkey is so responsive and loyal to SDC's work, and it is always heart -warming to be there . Our organizers are wonderful and have a great joy in the development of the Festival . We had several meetings with Central European/ and Turkish partners as well for forward development , over dinner , shows, wine , and finally celebrating our artistic director's birthday . Anyone for a shot of tequila ? So not a bad start to the year ! So here we are in the U.K !!!! 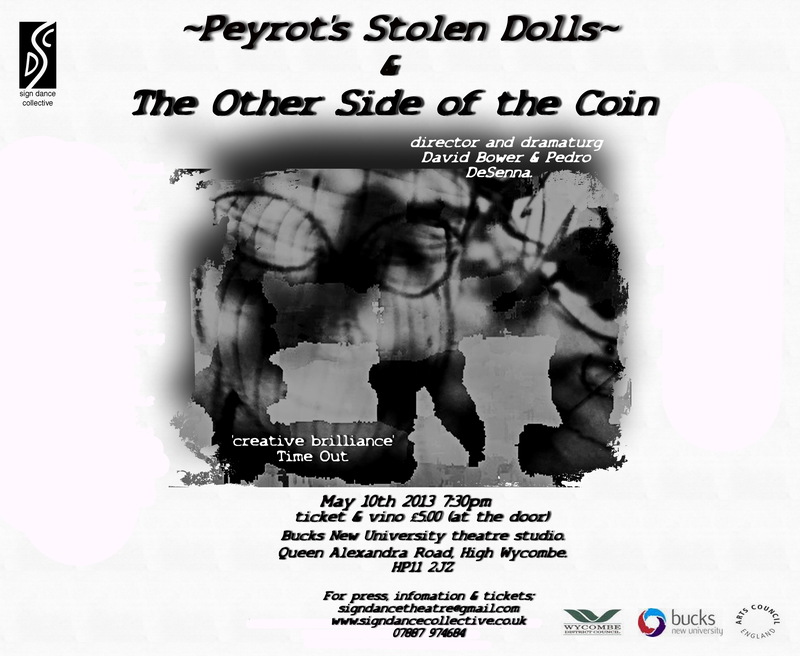 Performance is at 7:30pm- May 10th at Bucks New University / Theatre Studio Queen Alexandra Road High Wycombe , HP112JZ. Its also UKDeaf Awareness Week , so come along and celebrate ! Next stop NYC , North Carolina, and The company will be performing in Amsterdam on June 14th , Austria performance Festival and films , and finally back in the USA for August . Lotts and Lotts comin' up !!! Isolte Avila , your Cuban Barmaid! The larger than life fragments of our existence pieced together like an entwining kaleidoscopic playback of our lives magnified on a bigger screen. A gritty yet reflective film with elements of the supernatural, this dramatic insight into a small town lovable rouge will leave you speechless. 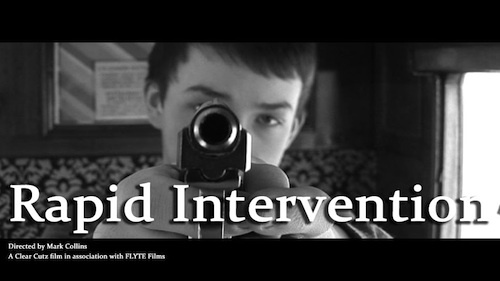 Mark Collins, writer and director of the short film 'Rapid Intervention'. is currently at Flyte Creative Media and studios working with David K Bower and the team on pre-production for the film. David, the deaf actor who is well known for his lead role in the British hit comedy film 'Four weddings and a Funeral' opposite Hugh Grant, but just as well known as artistic director for the international touring company Signdance Collective based in Amsterdam and Bucks - plays the lead role in the film- CHRIS DAVIDSON, a lovable small town rogue in this tense short drama. Director Mark Collins said: "This is a great opportunity to collaborate with such professional and experienced people including Stephen Hope-Wynne playing TONY the armed police officer and introducing 10 year old Sammy-Joy Bonetti as JENNY the daughter of CHRIS who plays a pivotal role in some touching family scenes in our film." David Bower said: " Im very pleased to be involved in this production because its a quality script , and its great that the production team is so inclusive and welcoming' this is a very cool project with loads of energy and new ideas "
Jamie Griffin director of the production house said : On behalf of Flyte studios we can't wait to start! Stuck In The Middle With You and Lovin'It! The Company was neither part of Unlimited or Liberty, but! What a Great summer for SDC! Our international tours with Ana Desetnica and The Lent Festival in Slovenia, with Salvia and The British Council in Estonia, plus tours to The USA and Austria's Kulturwerkstaat were great! We were selected for SHOWTIME - The London 2012 Festival which covered both the Olympics and Paralympics. We were also lucky to work with TOGETHER! Fest in Newham so we were very much in the picture we wanted to be part of . This meant we covered every-corner of London. Just Our Style! We were even on the same ticket as David Roche in Newham for TOGETHER! and our young performers were able to watch his show. What a man! What an artist! Yesterday, SHAPE and The Bristish Council asked us to contribute to their symposium IS IT FOR EVERYONE? at the South Bank. This was an engaging symposium chaired by Tony Heaton with conversations, with Julie McNamara and Deborah Williams. It was good to meet up with our long lost D.A colleagues which circumstance has kept us from, and also meet the fabulous international guests, hang out with Heart and Soul, have a beer a relax, and a little dance! Thank you SHAPE and BC for allowing us to take part. This summer- we settled on our name - Signdance Collective International. Not bad ,only took us 11 years! The current company is phenomenal in every-respect. Talent, consideration, innovation, respect, curiosity. At SALVIA, Ana Desetnica, Ana D @ Lent and London 2012 Festival we drew hundreds, sometimes thousands! Alex Ward, Laura Goulden, David Bower Pedro De Senna, Isolte Avila, Francesca Osimani, Jeremy Doulton are such a cool company for SDCI. We want to thank our lovely director Goro Osojnik and our partners - Bucks Uni, The British Council, The Ethos International Festival Ankara, TOGETHER Fest, London 2012 Festival, DAO, Kulturr Werkstaat, Urban Warrior, Dojo USA, Arts Council England South East, Ana Desetnica Festival, The Deaf Comminity across Europe and Dead Days Beyond Help! For info on tours booking or just chatting! really! We haven't disappeared into the deep realms of SHOWTIME!! SDC 2012 World Tour. Join us ! Taking a leaf out of an age old tradition and trekking the road less travelled, we can confirm that we are continuing our international tours and collaborating with the wild and free artists of the world. We have been collaborating and touring this way long before it became the buzz words here and were incredibly a flagship organisation for a while, before the more sensitive artizens among us began to choke on their breakfast, whilst worryingly ordering a second course of a king size a la Simon Cowell et al. After ten years of trying to decipher the interminable quagmire of laissez-faire news speak and an increasing rise of corporate culture thats has so sadly, sadly creeped into the studio space via administrators and arts consultants bringing with them a language that is both alien and (dare I say it) Deaf to art and culture. We have finally opted to lay aside this deflective conundrum for now to focus on what its really all about, art itself. We are embarking on a new chapter in the company's book. A return to our original journey and hey! its business as usual! In the UK people often ask how do we get so much international work?. We still maintain a tradition that advocates an artistic practice wherein the actual control lies with the artists with both feet planted firmly in the artistic field. Our endeavours are led by artist co-ordinators whilst ensuring that Deaf and Disabled people lead at the helm. This was the common practice and still is further afield. The company is very cosmopolitan and if it were a person, we would be a polygot. Within the company a wide variety of languages are in parlance either as working knowledge or fluently, we can list, Spanish, Italian, Portuguese, Greek, German and the supposedly mythogical language of international sign, which I can assure exists beyond Lilliput and is widely spoken. The feedback that we get from both the press and the audience suggest to us nothing but positive things. This gives us an incredible amount of confidence and puts paid to any doubts that lie under the 'polite' conversational veneer of the aspiring chattering artizens who would rather watch the X-factor and still continue to confuse Boney M with a Beethoven movement or a 'Bang on a Can' piece. March 2012 - Ankara, Turkey. Rehearsals for a new international collaborative performance with our international partners and Etos festival directors. Our in-house band, the British Rock/Folk/Punk set 'Dead Days Beyond Help' will be joining us. With groundbreaking musicians/poets Alex Ward and Jem Doulton both of whom are well versed in classical and modern genres. All work is completely original with no cover versions, be among the first to experience it. Throughout 2012 we have seventy dates for 'New Gold', a poke in the eye of convention, it is a much needed irreverent look at the olympian values and what they really mean. Is winning all that cracked up to be and can sometimes failing bring important insights too?. 'New Gold ' is engaging, Rimboudian, controversial and completely hilarious. It has been performed to ten thousand people world-wide and counting. 'New Gold' was funded by Accentuate, Arts Council of England and the Creative Campus Initiative. Other international dates include Beirut, The National Theatre and other venues in Graz, the 2012 European City of Culture. We will be performing at some of the best street theatre festivals in the world throughout Central Europe. See our site for updates. Coming up is a performance for two thousand Deaf and Hearing children at Stoke Mandeville Stadium, the actual birthplace of the paralympics near Aylesbury and within easy reach of London. A London run in April of "New Gold" at the The Warehouse Theatre in Croydon. We will begin work whilst here in advance of heading abroad for the new Turkish collaboration. We are pleased to announce that Dexter Hamlett, a disabled actor from the USA will be joining as a performer. Dexter is known for his many films and theatre roles, he is regarded as one of the finest African American actors of his generation. A long time collaborator with Forrest Whitaker (The Last King of Scotland, Ghost Dog). Award winning up and coming British actress Rebecca Hurst will be joining us . Her work includes roles in the critically acclaimed short films, 'La Femme Marie' and 'Little Voices'. Our regular line up also includes award winning performers, with us are Isolte Avila, David K. Bower, Jacob Casselden, Francesca Osimani, Pedro De Senna and Laura Goulden. Keep an eye out for updates on our seasons with The National Youth Theatre of Turkey, Karaborun, KulturWerkstatt, Austria; Driving Inspiration, UK; Urban Warrior, USA; Ana Desetnica, Slovenia. Last year saw preparation for 'A very large sporting event' this will be realised during the opening. Our work continue's with the Cultural Olympiad in conjunction with Accentuate, Driving Inspiration and Locog. We will be hosting the inimitable Zoe Partington Sollinger, and her project "First Impressions", at our home, Buckinghamshire New University. This was funded by Accentuate. 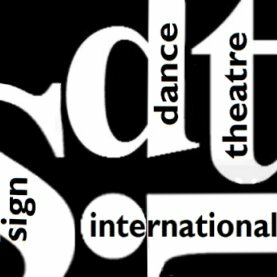 Signdance Collective would like to thank the continuing support of Buckinghamshire New University, the home of SDC. Goro Osojnik, festival director at "Ana Desetnica". Wycombe Centre for the Arts. Here we are almost at the end of 2011. Its been quite a year for us. We have toured six different countries with some beautiful and exciting projects. Our highlights have included the international tours of New Gold with a bigger ensemble. 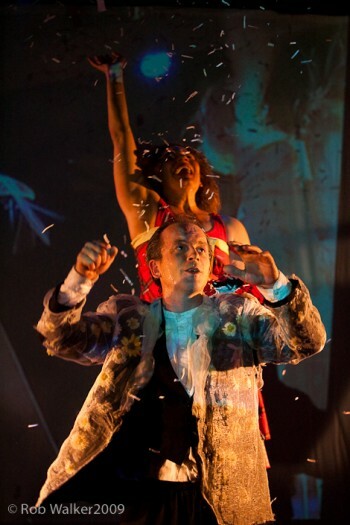 Jacob Casselden and Laura Goulden have been a wonderful addition to Signdance's work. They both worked with us on the 'HERE' quartet and we are looking forward to working with them on future projects. We have been involved in interesting academic and teaching projects with Bucks New University, SDC's new home! Highlights have included collaborations with Diablo Arts and BBC Radio 4 directors' Sue Roberts and Polly Thomas. We have been engaged with two education projects in the UK - both Accentuate Projects. Driving Inspiration (Creative Bucks) and Campaign to be Me! (Creative Junction) have both been rewarding. You can watch the film on Signdance Collective's youtube channel. 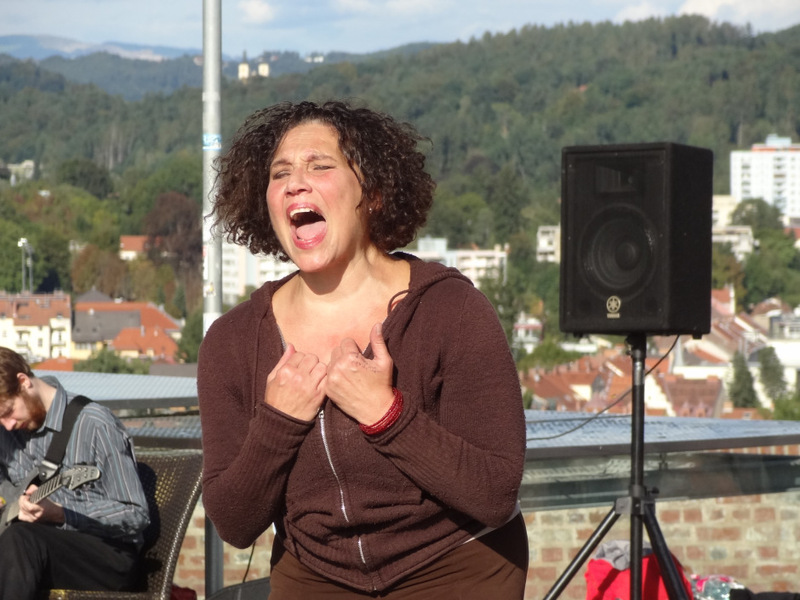 Abroad, Signdance has been privileged to work with the National Theatre of Slovenia and YourStage in Athens, where we have been developing a programme called The Expressive Body, which is an exploration of performance language between Deaf and Hearing performers. We also worked throughout Greece with young Deaf people. Signdance has also won the Los Angeles Film Award for the film collaboration 'Our Right To Relationships' with Ability Media. The project has also been nominated for a 2011 AMI Award. Finally Signdance is proud to announce that we will be performing at the Cultural Diversity Awards at Media City Studios in Salford on 6 December 2011 at. Go to DAOs News pages for more information. SDC and SDTI want to thank everyone that made SDC's summer so exciting and such smooth running! It was an incredible season , so congratulations to the company , guests , and in-particular our supportive partners- ETHOS Festival Turkey, Driving Inspiration U.K, Accentuate, Thessalonikki School Greece , Your Stage Athens ,! Ana Desetnica , CAMPAIGN! ,Flora Swlavidu Expressive Body Training Athens, Kulturwerkstatt Graz, Urban Warrior N.C, Wycombe Ats Centre and our fantastic base - Bucks New University ! March- July There was proffesional touring in Greece : Siphnos , Thessaloniki , and Athens .Austria, Slovenia, Turkeyi the UK . In July The company won one of the Los Angeles Film Awards with Ability Media , and have been asked to perform in Los Angeles and SanFrancisco in 2012! The company undertook Education/training work with Driving Insp with wonderful results . The collaboration with animator David Bunting is now carrying through with our work at the BBC . More development took place at Bucks New Uni, Plus international workshops at Thessaloniki Sch, training Your Stage Athens, and young people's work with CAMPAIGN!to be me with the company's new artists -Jacob Casselden and Laura Goulden. All the performances and projects have been very very well received , gaining international acclaim , standing ovations , praise from young people , and great reviews! Thankyou for all your amazing work! We recognize how commited everyone is to the work of SDC & SDTI and we are really excited about the future . www.signdancecollective.co.uk . Have a look at the Autumm!!!!! performances are - HERE ' 2:00 pm New Gold 3:00pm - Deafinitely Theatre Company will also be there! Signdance Collectives directors have spent five fantastic days at the Ana Desetnica/111/) international festival in Slovenia, Ljbljana. 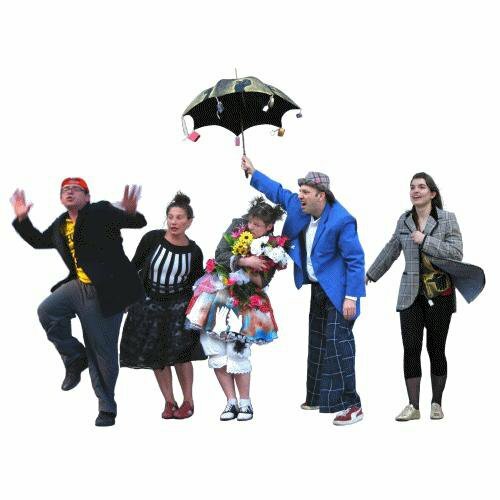 We are being mentored, coached, by its director Goro Osojnic as well as experiencing some of the best in international street theatre performance. We saw groups from Spain, Barcelona, The Netherlands, Ukraine, Canada, Germany, Iran, Slovenia, Mexico, France, Czech Republic and Belgium! . The artists are open and with wonderful communication skills. We are so so lucky to have become involved in the international scene! These street performers perform 50-70 times per annum. They are similar to SDC in that respect, and in the professional street theatre arts world, it's completely acceptable to do that many gigs. 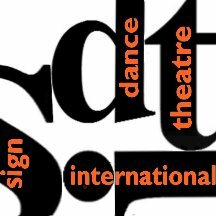 We do about 30-40 so Signdance Theatre International are still small fish! The Festivals abroad really look after the companies providing food, hospitality, accommodation and travel as well as a fee or 'good hat!' The performers at this years Ana Desetnica are all ages. It is so inclusive, mainstream and open. The society in central Europe still thrives on some modicum of equality . SDC will perform New Gold at the Festival next year, and hopefully at the European City of Culture in Maribor which is at the same time as the London Olympics. If you have a chance to visit Slovenia next summer, please do ! Its worth it, and get away from the madness!!! . Now we are in beautiful Graz , Austria at the Street Theatre Fest - Tingle Tangle . This Festival has an in-house disability arts & culture company , they are generous , super well organized. Kultuur Werk Staat is the organizing body, its director is Christian Jabornig . We have been working at this festival since 2003 , collaborating , advising , training , performing & will be doing a three country E.U programme with them for 2012-2015. SDC will report on the Festival on this blog when we return to the U.K for the final of 'Driving Inspiration!!' performances at Stoke Mandeville School, managed by Vicky Hope-Walker with Bucks Council, Wycombe Council all's good! See y'all soon! 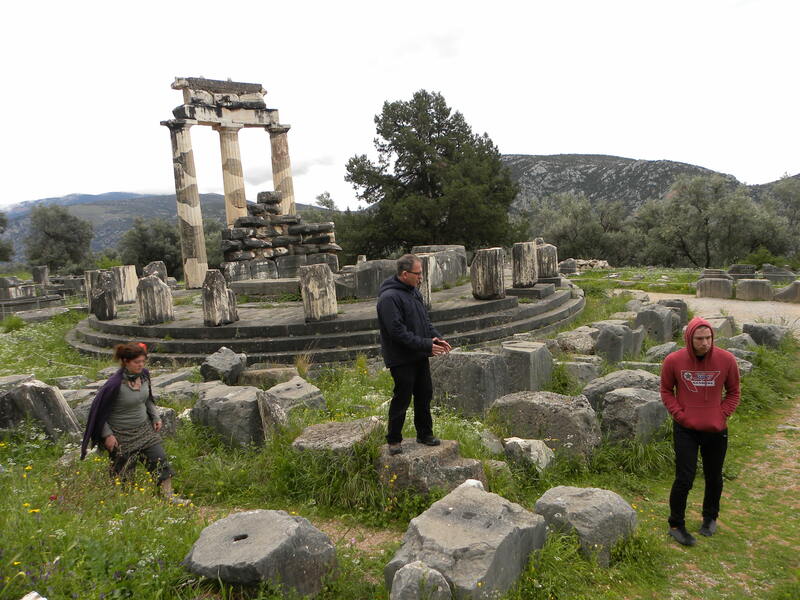 Signdance Collective is in Greece/ performing, giving training workshops to actors and international sign-language interpreters, and in residency at several places across Greece. In Greece, we are working with local actors, musicians, coordinators and with National organizations. Thank you Flora, it is a great opportunity for the company to extend its touring and everyone has treated us with love and respect. We have performed a total of eleven shows this year in Greece, a residency in Thessalonikki, a training seminar at Your Space in Athens, a residency on Siphnos Island, CAMPAIGN! for 2012 Olympics from the North to South of Greece. Every single step has been wonderful, and enriching for all involved. March 30th untill April 4th -The Company (Signdance Theatre International / SDC) was priviledged to participate at the Ankara Festival of Performance ETHOS / ETHICS . The Festival is a regular mainstream event, but has the unique quality of having companies from Kurdistan, Iraq, Iran, and from the whole region. We were finally able to return after a five year absence, and it really did feel like a home-coming. With great organization, full theatres, and SDC/ SDTI receiving three standing ovations, we were very happy and to be frank... relieved to be at ETHOS, and away from the UK . Jacob Casselden (fresh from his recent success at the Royal Court with Tribes) joins SDC with an extended version of the dance work 'HERE'. 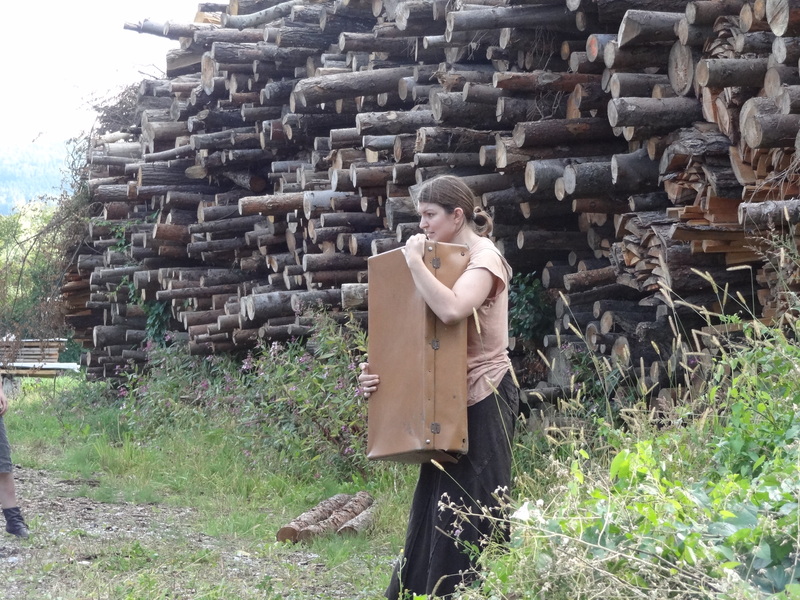 The piece also includes dynamic performer Laura Goulden. These two young performers are the best we have seen in the 28 year history of signdance theatre, and we are looking forward to including them on our forthcoming international tours. Jacob has a magical performance and dance quality, a three dimensionality that is missing from so many dancers and dance companies that we seem to see these days. Laura is a joy to work with and is fantastic on stage with a rare clarity, and beauty. April 7-9: The next stop was the UK / Cardiff / Wales, and a new radio play directed by Polly Thomas for the BBC in-collaboration with Signdance Collective. The signed version will be on-line at the same time as the radio play in June. Once again Jacob Casseldene and Laura Goulden joined us for the recording, so look out for this on the BBC . April 10-29 Last night we returned from an 18 day performance, film, and travel marathon in Greece. Nine Signdance Theatre Intenational dancers, actors, musicians, advisors started at the Thessaloniki School for the Deaf with a project which were brilliantly supported by staff community and parents. We worked with some of the brightest and most talented young Deaf People in Europe. This was a great surprise and delight to Jacob who led the project. It was such a contrast to the schools in the UK where discipline is so difficult and art so apparantly disregarded. At this school the teachers and everyone was constantly involved. The head teacher even picked us up from the airport. There is not enough room here to sing their praises! And as SDC is a regular in Thessalonikii it wasnt as if they were trying to be 'nice to the foreigners!' thats just the way things are! We completed five shows in the city centre, and two at the school. We then set off of a massive film journey from Thessalonikki to Athens. This was part of CAMPAIGN! for ACCENTUATE and SDC, jointly funded by SDC and our international partners . The film' MAD' is a snap shot of old and new Greece young people's opinions , the public's belief in their beautiful country , and our astonishment at other countries' prejudices towards Greece . We saw a fantastically organized country with clean new roads, traditional and modern architecturecoming together seamlessly from village to village and city to city . The hospitality and warmth of the people is something to emulate. We arrived in Athens exausted but ready to go. The reception at the YOUR STAGE Theatre group was great. We are collaborating with them and the Deaf Cultural Institute of Athens in June. See our web-site for details on the shows and training . Finally we arrived on the island of Siphnos. After a four day beach break , we attended Easter Festival Celebrations and finished the filming for the new HERE', which premieres in June at the YOUR STAGE Theatre in Athens . With many pages of reports to fill for Creative Junction and our Project MAD / CAMPAIGN we were pretty exausted ,.... happy to be home ???? We will see ! Today is a made -up bank holiday , I couldnt get to the bank ! Next Stop ..... Kent. The Company has new performers a new base and exciting international projects . We are also working with U.K -based consultant Stephen Boyce who is helping us to shape the Company's new direction, funded by SYNC . Below is a taste of what we are up-to! January 2011- July 14th 2011 For 35 days SDC is at Driving Inspiration creating three amazing collaboration projects with young people across the South East in collaboration with Animator -David Bunting and artist Christine Wilkinson. Driving Inspiration is a Creative Bucks / ACCENTUATE project managed by Vicky Hope-Walker. April 10th -15th Thessalonikii School Greece - / New Gold Shows + Campaign ! From experience I would say choreography is about listening visually, with the eyes and finding the right moment to act and react. Choreography begins with a simple idea like the movement of the sea and how the light plays on water. Or it could be creating a sign name for ourselves using sign language and taking that as a basis for a movement - and then creating interaction between that movement and other sign names. We don’t believe interaction between the dancers has to be in time - beat wise. We find that interaction is enriched using different but equally valid sense of timing. Dance Director Isolte Avila's training at Cal Arts involved not working with music. If they did work with music it had to be live musicians. There is a highly respected choreographer from Belgium called Anne Teresa De Keersmaeker, of Rosas Dance Company. She talks about creating dance without music as a really interesting way to work as it frees and widens the dancers scope of possibilities. This makes sense as, I think, dance is more than a response to sound. There are a myriad of ways to dance. The imagination is a very powerful impulse, and perhaps by being deaf it helps to intensify and therefore focus the attention on the imagination. 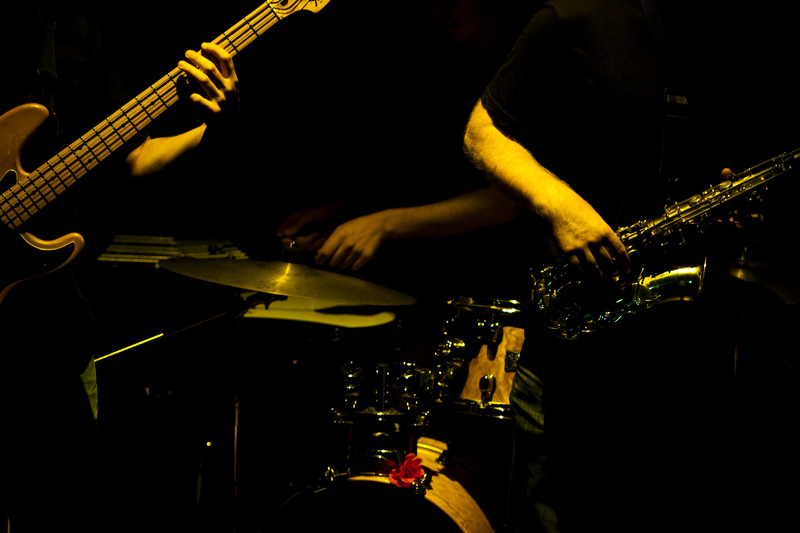 For the Deaf dancer working with live musicians allows for an immediate contact with the player. We have been working with Led Bib for about ten years now. They were nominated for the Mercury Music Award in 2009 and are regarded as being some of the best contemporary jazz musicians in the world. We are really privileged to have this resource. When myself and other deaf dancers work alongside them, we activate our imagination for example 'light on water.' We reach a consensus through improvisation and then begin to set the material into a dramaturgical structure. Its simply ludicrous in my view for the deaf dancer to stick a CD into the ghetto blaster as there is no real life just the recording, a copy, a ghost. I think that this is also the case for the hearing dancer. Keersmaeker seems to think so. Its got to be live or nothing. Isolte has said to me before now that I tend to choreograph indirectly. I think that's because she has taught me so much about dance that I kind of understand her vision, so I take the cue and guide intuitively through improvisation with the other dancers and musicians. I like to work in the dream state and prefer not to be too conscious about how we arrive at the end result. One of the UK's greatest theatre philosophers coined the term 'The Deadly Theatre.' Peter Brook, describes it as a theatre without truth, built on imitation, that spoon feeds the audience, almost like the fast food version of art, the X-Factor to go, Britains Got Talent and Fries, Eastenders with salt and vinegar, Come Dancing with lots of mayo and Love never Dies without!!! Jose Limon said something interesting 'The dancer is part athlete, part warrior and part poet.' I think that is a beautiful way to put it, although I think there's too much emphasis on the athletics these days! We use a lot of sign language in our work and are trying to achieve a symbiotic relationship between sign and choreography. "Do not saw the air with the hands overly much" is a direction that Hamlet gave to the visiting troubadours at Elsinore castle. It is thought that this speech describes some of Shakespeare's philosophy on acting. This is what we tend to do as artists when we are nervous. Its a big question, "How does choreography work? ", there are so many different elements, so many different ways to answer, none of them wrong, and yet how do we know if it's right? Signdance use touch/contact a lot, as it helps to tell so much of the story. It shows how individuals relate to each other in a visual way, as well as enriching the choreographic possibilities. At the moment we are developing a new form of dance with Primoû Bayzak, a dance artist from Slovenja in the Balkans. He is a founding member of a world famous dance theatre company called 'Betontanc' who have had successful tours in the States. We have called the style ‘Signcontact Dance’ and it hails the beginning of a new phase in Signdance Collectives’ journey. Long days into the night! We haven't stopped at all this year. Signdance Collective has been creating our new street signdance show, 'New Gold'! Supported by: Create Compete Colaborate , ACCENTUATE Creative Campus , Bucks New University , Arts Council England. We have also been performing both Dances For A lost Traveller and New Gold at lots of very cool venues! These are just a few! The National Theatre of Slovenia in Nova Gorica , Lent Festival Maribor, Ana Desetnica Ljbljana ,The Siti Theatre Slovenia , RFH, Haupplaz Graz, Southill Park (Bracknell with SYNC South East) the new Waterside Theatre in Aylesbury. We are presently touring New Gold for Driving Inspiration (Creative Bucks) The Pilot of ' New Gold' premiered at Bucks New University in June 2009. Further funding was received from Arts Council England for research development into New Gold... and now we will go into the final production stage. David Bower stars in Little Voices - a new film by Post Graduate Students at Glamorgan University / Welsh Film Academy with Screen Wales. Little Voices is produced by Chris Colton, directed by Chris McFall, and co-stars Rebecca Hurst. Producer Chris Colton sent David Bower the script for Little Voices after contacting him through Signdance Collective. His immediate impression was that it was unsentimental, uncompromising, and edgy, with a chunk of grit thrown in for good measure. The film is the story of an isolated deaf man struggling to cope with the loss of his partner. David Bower says: "To me it is a strong metaphorical description of the semantic divide between deaf and hearing people. It explores an interesting area of human perception and communication. The inclusive postgraduate crew have worked closely with members of the deaf community and Signdance Collective, to produce the piece which will be released in February 2011. Director Chris McFall says: "Having David on board has allowed us to consider other further options when preparing the film for its release, and we hope it will inspire younger deaf people to produce films for the future." Signdance Collective are delighted to have involvement in the production of the film. It was a challanging, and an absolutely fantastic experience. "We are looking forward to being involved through post production and beyond." David Bower and Signdance Collective's most recent media projects have been in the development of accessible radio plays with BBC Radio 4. At the moment we are at the Oeral Festival in Holland Freisland. We are staying on a big barge for the 10 days of the Festival, and have been invited by Captain Aad Van Ploeg to do small sign-theatre street interventions/ invisible theatre. It is the most innaccesible Festival ever! The buses have signs saying "Please give your seat to an INVALID if he or she needs it." We are finding it difficult to get from venue to venue, with buses only every two hours and no electric bicycles, buggies or extra transport at hand. A taxi is 16 euros or more one way to the venues from where the main town is. When we have asked organizers for extra assistance, they have literally laughed in our faces. So today we have spent 8 hours on the buses signing poetry and asking if the seats are invalid or not. We have also been dancing on the buses using the rails, and changing from seat to seat. Sitting next to Festival punters and reciting poetry to them in international sign, and English. Well it is a start. We also go up to the same information counter each day and ask for new access information. Now we have different performers (non-disabled, as there are no Deaf or disabled performers here) asking questions at the counter. There are some wonderful shows on at the Festival , so if you fancy a treck to the Way Back in Holland with amazing scenic views of the North Sea , this is it , but be warned, this little fest has a ways to go. Tomorrow, we will do some simple signdances on the barge. This summer July 1-10 SDC goes to Slovenia. 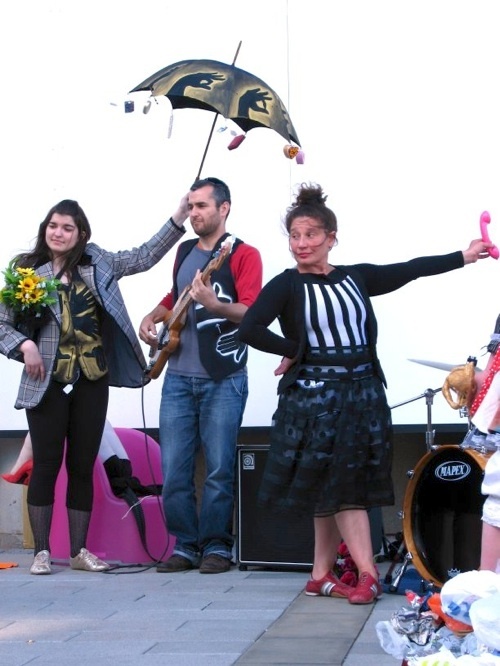 We are performing at the fabulous street theatre festival AnaDesetnica and Lent Festival in Maribor. This is a mainstream festival with great access, wonderful hospitality and the best street theatre in the universe! If anyone is interested in this project please contact SDC on signdancecollective@gmail.com,as it is a participatory production . The stop before the New Gold shows was 'SignCircle' the big Deaf gathering in North West England. Fab festival with Caroline Parker in action and some new wonderful Deaf performers skimming across the boards! It had a huge attendance of more than 1,300 people made the events turn into real spectacles. And although the festival isn't massively funded, it has a great spirit, and is run beautifully. Back at the SDC ranch BNU (Bucks New University) we performed our new street theatre / signdance show New Gold from 1-5 June 2010. Inspired by the forthcoming 2012 Olympics, New Gold takes a fresh look at contemporary attitudes to competition and winning. The pilot performances of piece were developed with international street theatre director: Goro Osojnik from the Ana Monro Theatre Company with music by Mark Holub from Led Bib. Funded by ACCENTUATE, Create Compete Collaborate, Creative Campus Initiative, and Bucks New University. SDC's new show has a larger company, with some fresh young performers as well as us Oldie Goldies! And it is really a fun and great process . The show draws on Olympic stories from Paralympian rowing medalist, Naomi Riches. The history of Gold, script by Pedro DeSenna, importantly ;New Gold includes some well known characters who everyone will relate to . Design is by Christine Wilkingson. We were nervous but excited to do such a straight piece of street theatre. Goro dramaturged the pilot show beautifully. We drew good numbers to the performance and the crowds responded well. We intentionally did not advertise the town shows so we could see the sort of reaction the piece would get from an unsuspecting audience! We were pleasantly surprised. It was great, and we are looking forward to the further development of the work. "Saw New Gold last night ... absolutely fantastic. Great fun and brilliant music from 2 members of Led Bib plus great performances from David Bower and Isolte Avila. Will be going again on Saturday afternoon as aside from being a a great piece of theatre ... its free too. Could you ask for anything more." SDC has a new base...well, its first ever real base, at Bucks New University, High Wycombe! Up until now the company/collective has existed virtually, without admin, storage, rehearsal or production space. The new facilities are splendid, offer wonderful opportunities for Signdance Collective artists and collaborators to create music, dance, film and music. This new partnership will open up exciting possibilities and give us core support from university tutors and managers. We will now be able to drive exciting projects forward, including our international developments. The BNU theatre department is led by dynamic Brazilian actor/dramaturge Pedro DeSenna and the project is managed by Ruth Gunstone. On 31 January 2010 SDC will hold an open rehearsal at BNU's Studio Theatre and hold an open Q&A for guests about SDC and our new projects. On show is work from artist Caroline Cardus and film-maker Gary Thomas. Guests, students, company and BNU faculty will toast the new collaboration between Signdance Collective and the university. Now to let you know about some of Signdance Collective's work over the last couple of years. 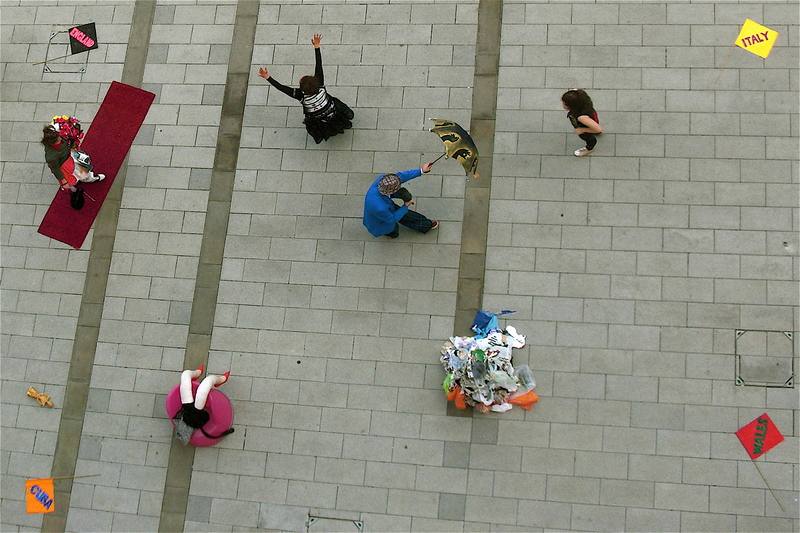 We delivered 'High Wyrrd', an international street performance and visual art showcase on the streets of High Wycombe in September 2008. We collaborated with the BBC on ‘Hunchback Of Notre Dame’, and are in the process of creating two new projects with the BBC. 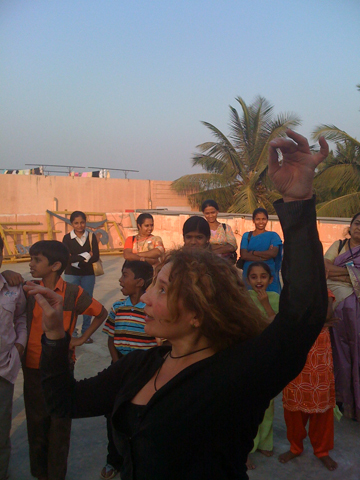 Our work with Ornella D'Agostino on 'Dances for a Lost Traveller’ provided the opportunity for us to explore our fund of skills, experience, talent and integrity. Taking this next developmental step has given us access to a rich seam of content. It has provoked an important shift in the way we perform, create and disseminate work. This has provided us with a profound range of possibilities and inspiration. Whilst being informed by Deaf and disabled experience, we think the work has universal appeal. The company is now coming into its dual inheritance of both pure dance and theatre. Our collaborations have reached an exciting and profound level of managed and inspired risk. This means that we can form creative relationships with a range of partners, both arts and non-arts based. 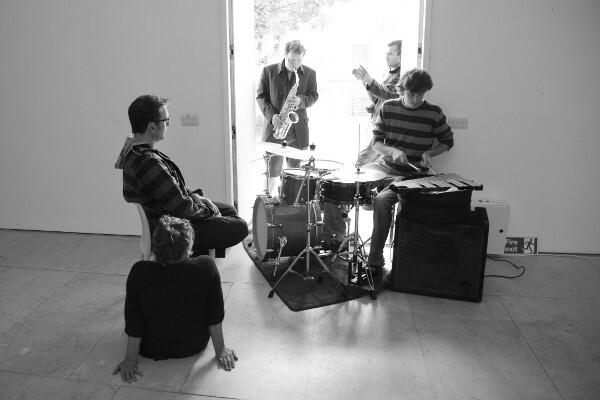 The use of live musicians improvising in our performances is an example of the relationships that inspired us. Our work embraces different perspectives, common principles and shared control. We have some very cool events coming up , and this brief blog is an intermediary! 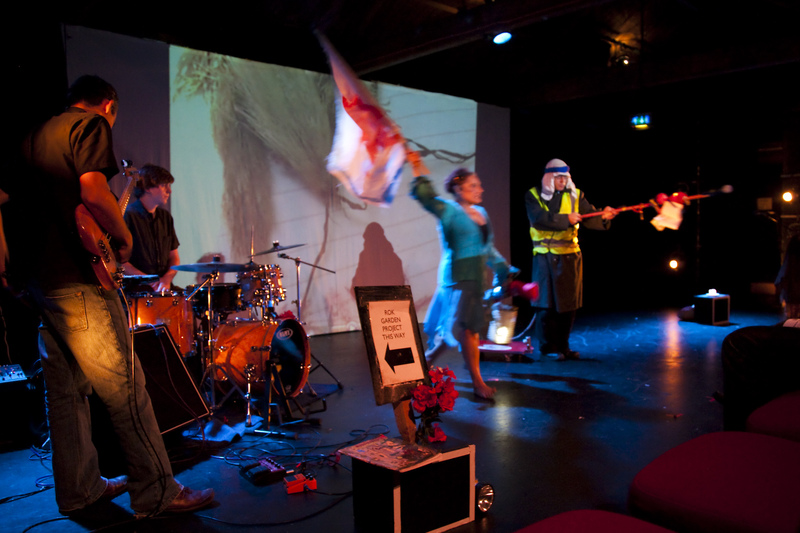 On 3 December 2009 SDC will help launch Arts Council England South East Accentuate Project, at The Brighton Dome. January 2010, SDC becomes company-in-residence at Bucks New University We are excited about this new development , as SDC will finally have a home .We have invited Anjali Dance Company to also perform at the launch and really looking forward to working with the university. The collective will have its own office, storage space, use of rehearsal and performance spaces. The university team is already working with us on several mid to large scale projects , and we are keen to get going on the new ideas and new directions. SDC are currently collaborating and planning projects with The Gate Theatre London, Ana Monro Theatre Company, Dance Aware, and Liz Porter (Porter Tales), Bucks New University, Bucks County Council and Talking Hands in N.L for projects 2010 onwards. We will also be travelling to Amsterdam, Ljbljana and Budapest in the 2010. I will blog about the progress of the projects on DAO , and keep ya'll posted! Watch this space!. SDC have won the 2009 AMI Award for dance. Graeae were also there picking up the Radio Award for Hunchback. Sue Townsend was also there as well as ENO and others ...mmmm... Check out the AMI site see what you make of it . We are not PUGSY fans as you may have guessed! I have just sent off the first off-line version of a film project that SDC have been working on. The great news is that SDC has its own channel on YouTube. There are currently four films on the site. 'Listen' - prepared by SDC music director Luke Barlow -Travelling and 'Here', are part of our latest production, 'Dances for a Lost Traveller'. The third - 'Firesigns' - is the result of an on-going collaboration with several Dutch artists. Joke Mennsink, director of ’Voor TV’ has been a long term associate and adviser of SDC. He established one of the earliest modern disability arts performance groups in the world, called 'Diagonnal.' Joke introduced us to her circle of friends a number of years ago, one of whom is a rock n’ roll star called Frederique Spight. Frederique was inspired by a very beguiling deaf person which led to a series of signed concert tours as a tribute to this enigmatic deaf beauty. Unfortunately she felt cheated as she couldn’t sign. (Hey! Deaf can be beautiful too, you know!). The concerts were signed by an international sign-language interpreter called Mindy Brown. Mindy had already worked with the likes of Bowie, Madonna and had bought her experience to bear on this project. It was an amazing experience to have had the opportunity to create a piece of film in the lyrical-formalist tradition of three incredibly powerful and charismatic women. The third of whom is Isolte Avila my long term partner and associate at SDC. SDC was approached by Joke, with a project to capture a Frederique Spight concert on film, for commercial release on DvD. We wanted to target Deaf people. Our aim was to capture the concert so that the sign-language interpretation was integral, rather than confined to a box in the corner - in the concessionary sense. As we worked on this, my thoughts quickly turned to the idea of making a short film. Mindy dug the idea and contacted SDC about being a producer for it. The film was shot on location in Den Haag - the capital of Holland, which is also the base for Mindy’s company Talking Hands. she set the company up with Gerdinand Wagenaar (Jerry), who is also an international sign-language interpreter. Jerry’s role was as a sign-language advisor to Mindy. He is a member of CODA (children of deaf adults). In fact his first language is sign-language, so his sign-language skills are impeccable. He has become one of the worlds foremost exponents of Deaf culture, interpreting at crucial events such as the European parliament and the United Nations. The concept behind Firesigns was to convey a poetical, visual presentation of abstract human imagery. The light was important to create the right mood. By playing with the exposure, I aimed to try and create the same world as ours - but somehow different - heightening reality so that it becomes hyper-real. The initial editing process was undertaken at the end of August 2009, on Joke’s barge in Amsterdam. It’s a beautiful place to work, and Joke is so enlightened about disability and has no end of wisdom pertaining to disability art and expression. So it was an absolute pleasure to be able to collaborate with her during that week. You know how sometimes its psychologically challenging to work alongside individuals who can’t escape the medical model, know matter how sincere they are. It impairs the artistic process with unnecessary intellectual baggage. Joke is refreshingly free of all of that. She was so encouraging, constantly guiding my learning process in editing skills and pointing me in the right direction computer-wise. I will be going again to work with her, and this time it will be to complete the film, as a studio on-line (finished) version. The version that’s on You Tube is a preview off-line version that I have worked on here in North Carolina. We are currently at 'Urban Warrior', where we have unlimited access to a fantastic Dojo (studio). We are taking the opportunity to fine tune our performance pieces, as well as carrying out an administrative brainstorm. It's needed at the moment as the challenges that the SDC face are huge. we are quite nervous but also quietly confident that all that is needed is a little focus and patience. Please check out the film on You Tube, also watch out for the finished version due at the beginning of 2010. Signdance Collective is at The Warehouse Theatre in Croydon for a three week run. So far it has been a mixture of Time Out Critics Choice! to small but beautifully formed and loving audiences. It's a tough time for Signdance Collective, with funding challanges, relocation etc. but it's a good time for our art. The company is making & presenting work that we really believe in. Work - that may be challanging to the mainstream - but is none-the-less our art. We are finding the strength to carry on with SDC, through performing these quartet of great new pieces, 'Dances For A Lost Traveller'. So, If you have the time come see us, please do! We look forward to seeing you. The Signdance Collective seeks to merge several artistic disciplines together. Although we are a company of disabled and non-disabled artists, we are not trying to create work to enlighten people about the issues surrounding disability, so in that sense we are not dealing with social realism. But rather we are seeking to explore the creative possibilities that a disability suggest. A hundred years ago a statement like the above would not have been possible; the fact that we are able to do this now says volumes about the new and fragile freedoms that artists for example have gained. A new art movement has grown in the United Kingdom, one that the SDC is proud to belong to, the disability arts movement has been coined as 'The last avant-garde'. The Signdance collective is essentially the modern equivalent of a medieval troupe of travelling troubadours. Its amazing in that in our journeys the amount of interest we generate, in places where there is no disability arts movement, people are surprised and in turn become active in establishing a disability arts movement of their own. We can actually see the movement spreading and growing throughout the world before our very eyes. Soon sure enough disabled people will become a part of the human story in historical terms no longer an invisible footnote in the grand story of Kings and Tyrants. We are at the Croydon Warehouse for a Three Week run of our new production and then on National & international tour. It’s called “Dances for a Lost Traveller”, and we are hoping to generate full houses, so if you are interested in shunning the recession blues and keeping Bohemia alive then this gig could be what you need. 'Dances for a Lost Traveller', comprises of four different pieces, all dealing with the theme of communication breakdowns. All the pieces fuse sign language, dance, theatre, film and live music and it’s like nothing that you would see at a mainstream event. We have some of the top musicians in London, so this is definitely a show for music afficiondos. The work is very visual too, and completely accessible for Deaf audiences. The four pieces were created over the last two year’s; they are the result of collaborations with various artists from around Europe. The first piece is called 'Here'. It’s about a relationship on the rocks, it was directed by one of Slovenia’s top dance artists, Primoz Bayzak, it’s quite Orwellian as the couple is under constant surveillance via a hidden CCTV camera. The couple is struggling and we see this struggle as a dance, the sign-language is fused into the choreography, and we grab snatches of an intense argument. The score was written by Mark Holub, band leader for Led Bib, & the music press is saying that they area hot tip for a Mercury Award The music is incredibly powerful jazz rock that lends a foreboding energy to the overall piece. The second piece is called ‘The Words’, Like in ‘The Birds’, only we are not under attack from the avarian world, but from language itself. From a Deaf perspective “we are surrounded by words that make shapes in the air”, an intellectual fuzz that can cloud us from true feelings. This piece was very cleverly directed by Carla Onni, a dancer from the capital of Sardinia, Cagliari. It’s probably the most lyrical piece. Alex Ward from 'The Dead Ends' provides an amazingly haunting score on electric guitar, as the dancer’s battle for the truth behind the words. The Third piece is called 'Listen'. Back in 86’ I attended a benefit gig for the miners who were still reeling from the counter-revolutionary onslaught, The Indie bands of the day The Fall, The Smiths and New Order were playing, The acoustics were zinging all over the hall, on departure I was left with Tinnitus, it’s been there ever since. Isolte Avila, our Dance Director who hails from Cuba and Luke Barlow our Music Director got together to create a piece that charts the inner journey I had to make in order to reconcile myself to 'The Noise.' These days ‘the noise’ is no longer the enemy but a friend, it helps me artistically in that it colours and informs the decisions I make as an artist. This piece is probably the punkiest piece we have, it really is a psychological sign dance thriller, and the music will probably have you rocking in your seats. Its incredibly exciting to have been able to work with Isolte, as she is probably one of the most underrated dance artist in the UK. Her choreographic wisdom is phenomenal. The fourth piece is called 'Travelling'; it’s a madcap, anarchic, screwball comedy. It’s the result of collaboration with Sardinia’s iconic dance theatre company “Carovana”. It explores the life of the travelling troubadour in the plastic modern world of the police state with all of its paranoid surveillance strategies. Re-energize your free spirit and learn some sign-language and salsa, as we guide you on a vision quest for our humanity. Liran Donin created a fantastic score that seems to cover just about every musical genre going; it’s like the world of music in 40 minutes. Oh and he is probably the best bass guitarist in the world. The road to freedom, The Warehouse Theatre is a couple of stops from Victoria Station, so come on lets show two big fat fingers to the fascist regime, join us for a celebration of the human spirit and possibly a glass of wine downstairs in the bar. Visually India is a very powerful place to be. Some Deaf people talk about visual music. For the Deaf the view out the window is our visual radio. The many sights that I saw remained etched in my minds eye. Now that I’m back home, it all remains vividly superimposed on everything I see. For instance a quiet British country road teems with an almost hallucinatory vista of Indian life. It’s dificult to comprehend why we don't have the same diversity of life here in these scepter’d isles. It’s incredible how empty of people our country roads are. We got great feedback from our performance at the Ranga Shankara Theatre in Bangalore. The Deaf community along with the general public turned out in full force. It was one of the best experiences on stage that I have had. We only had to move in our comedy piece and the audiences were in hysterics. The Ranga Shankara Theatre is based on the same model as the Prithvi Theatre in Mumbai; both are amazingly well thought out spaces. They are true theatre spaces, and not at all designed as a multi-functional space. Often what happens when people attempt to design a theatre space that also functions as a conference centre, the compromise comes at a price. When you approach the Ranga Shankara, you immediately sense the stage, hidden in the heart of a building that focuses completely on one thing only, the performance. Not only this, the entire building is a performance in itself, with its timbered semi-alfresco rustic restaurant, very cleverly attached to a well designed metal and glass structure. It draws you in. there is a very well stocked theatre bookshop, and it’s a fun place to be. The stage itself is held within an amphitheatre, the carpentry is impeccable, and embodies the sacred and ancient within its form, at once both modern and atavistic. When the theatre is empty and you lie back and close your eyes you can almost hear the whisper of a thousand performers emanating from the wooden stage. I think this is what Peter Brook means when he talked about ‘The Empty Space’. The Deaf community in Bangalore is now going to start a theatre company, and after the performance they spoke to the theatre director about a new production of ‘Children of the Lesser God’. So you see theatre is best served by diversity, and within it there is no room for segregation, only a lack of imagination bars the play. The next step is a tour of Nepal. This will happen over the next two years. Personally this will be a realization of a dream that I have had, to travel the Himalayas as a traveling performance troupe, on horse back. Luke our musician assures me that horse back riding in the Himalayas is pretty uncomfortable as he recalls from one of his treks. Okay maybe not horses. How about elephants? We will be working along with the Nepalese Deaf community delivering workshops and performances in what hopefully will be a relatively peaceful Nepal. It was great to go back to India, now’s the time to go, before it turns in to an Americanised shopping complex. If you get the chance I well recommend it. On reading the Hindu Times, one article seeks to illustrate the different ways people have of describing India. In so many words, one school tries to categorise India as having "a beginning, a middle and a full stop". It basically tries to pigeon-hole India: the writer goes on to say that it is ludicrous to attempt or even want to do this. In my layman's opinion, I couldn’t agree more. To me India is infinite, and the matrices multi-prismatic; all of life is here, the trials, the tribulations, the future, the past, the urgency of the present moment, 'the sham', the love, 'the drudgery', the enlightened, 'the broken dreams', the path, the power struggles, the equality, the inequity. Everything is out in the open, for better or for worse; only those who close the door miss out on this chance to engage in the energetic, challenging, adventurous dance that we know as India. Aside from obvious things like decent dentistry, what, I ask is modernity any how? And what, for that matter is time? The way we could shape our lives is endless; we could if we choose, re-invent our planet in a thousand million different ways. I'm always disappointed when someone says, 'that's just the way it is, it's called reality my son'. As the Manic Street Preachers might say, "this is my reality, what's yours?" Seems like a wise retort to such a blinkered view. Hence the mechanism of art; it's one of the greatest tools we have. It enables us to propose possible blueprints of how we are in the world, or how we could be, or we could bring to life, as earnestly as possible, what we were. Art can also activate and transform our very being, it can point a way to our future evolution. As a Deaf artist, I have a particular interest in the nature of sound. In fact I feel compelled to examine the difference between myself and a hearing person. It's quite obvious to me that the ears don't just function as tools with which to hear. For example they also serve as an aid to adjust our body to atmospheric pressure, and they serve to assist our balancing process, a very useful thing to have in dance. I'm convinced that our ears serve us in ways that science has yet to define. In the workshop we discuss this notion hueristically. 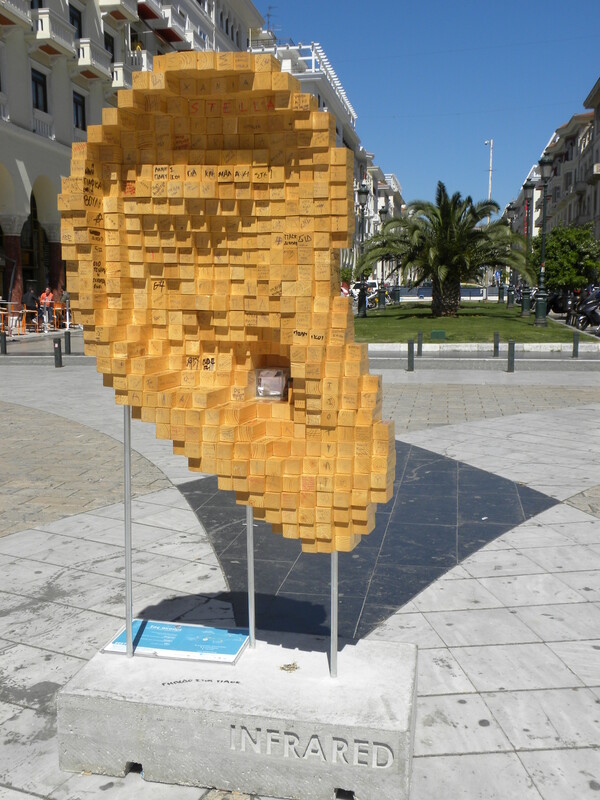 My colleauge, Isolte, suggested that ears help us to sense a greater depth of three dimensional spatiality. Personally I tend to agree on this point. To be sure, our Deafness has enabled us to develop a culture and a way of communicating that has heralded the evolution of a distinct language group. This development has somewhat been stymied by the 'well meaning' but nevertheless clumsy efforts of the scientific community. For example, 'Lets teach the Deaf to be like the Hearing'. The result of this has been to create highly contentious factions within the Deaf community. With so called 'Big D' members of the Deaf dismissing 'Little d' members. Embarrassing innuendos mar any decent attempt at serious discussion. Big D connotates people who are 'properly deaf' and the latter connotates those who have had an oralist influence in thier formative years, and therefore illogically not 'true deaf'. The similarities across the field are undeniable, the word mulatto springs to mind, a form of inverted rascism. These are real lives, with hopes, dreams and a heart. A divided world, squabbling sailors on an unchartered ocean. I recall a time, where I was described, by a fellow deaf person, as not 'true deaf', to several people on the Isle of Wight. This led to an unfortunate situation where an entire community was led to believe that I was a hearing person pretending to be deaf. I mean can you imagine! The irony here, is that the deaf person who said this was in actual fact able to use a telephone, I can’t. Moot point aside, lest I digress. The hueristic discussion we were having in the studio, concerning our little theory about the multi-functionality of the ear, led us to consider our working practise, and the usefulness that certain techniques in dance have towards increasing three dimensional spatiality. By this, we mean not just seeing or hearing our surrounding environs in the literal sense, but sensing and intuiting via 'the expectant space' within the organs of the ears. It's a different kind of hearing, one that requires no actual hearing. For example a conch shell has acoustic properties that go beyond normal everyday sound. Via its spiral, it conducts a composite sound or a sound of all sounds. Beethoven descibes it as 'The music of the spheres'. The 'OM' in Hinduism too also acts as a conducter that reactivates our perception of 'deep sound'. Good practise in dance also generates this latency into action. As with the original Australasians singing into existence the world around them on the 'songlines'. This kind of 'hearing' is not hearing in the everyday sense of the word, but a perception of a deeper reality. A kind of reality, full of meaning, that enables the deaf dancer to make visible these deep stories that lie within and around us. As Tony Heaton sculptor, former director at Holton Lee and current director at Shape London, once related to me a zen story about a sculptor who lived in ancient Japan: "when I look at the stone, I don’t see just the rock but I also see the form within that needs to be freed."